Thank you for visiting Tinkerbells Retreat *** Choosing the right villa for your holiday is very important, when you go on holiday you need to have all the information you need to make the right decision for you and your family. We trust our Villa will provide you with all the information in order to find your ideal vacation home. 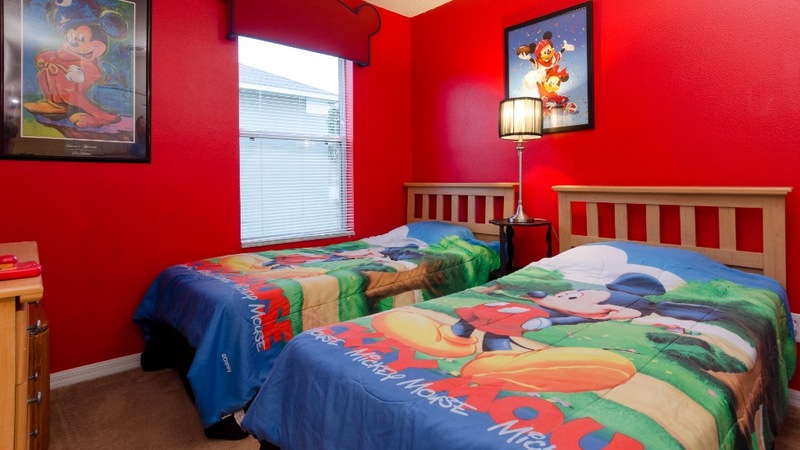 Whereas there are many vacation homes to choose from and many claim to be “luxury” so why choose Tinkerbells, what we say is there is no finer place for you and your family to stay for your Disney Vacation, this is a fact and you deserve it so, why stay anywhere else well read on? 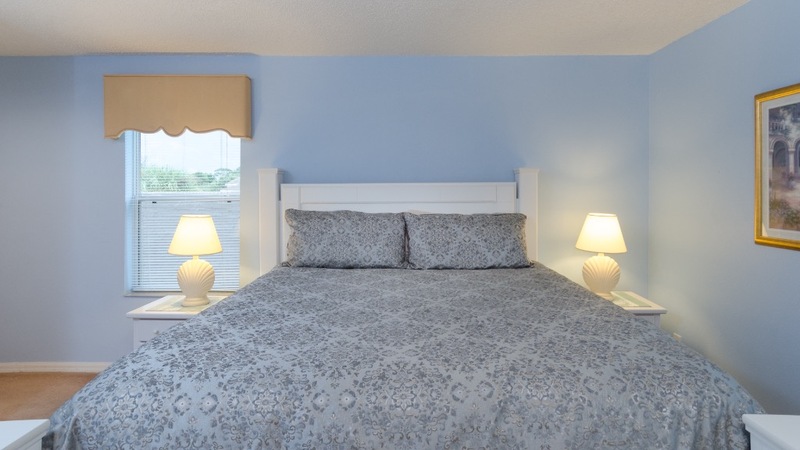 The design of Tinkerbells Retreat is a “Palm Harbour” and has been built to a very high standard. This outstanding villa will sleep 16+2 infants and has seven bedrooms and six bathrooms and upgraded interior design furnishings, the villa is equipped with everything the discerning vacationer should require from top of the range upgraded kitchen appliances Ice maker fridge, dishwasher, bagel style toaster, coffee machine, blender, electric kettle, hotel style hairdryers to the latest flat screen TVs DVDs High Speed WI FI. Free International telephone calls. We have 2 strollers 1 high chair and a pack and play cot all included in the price. 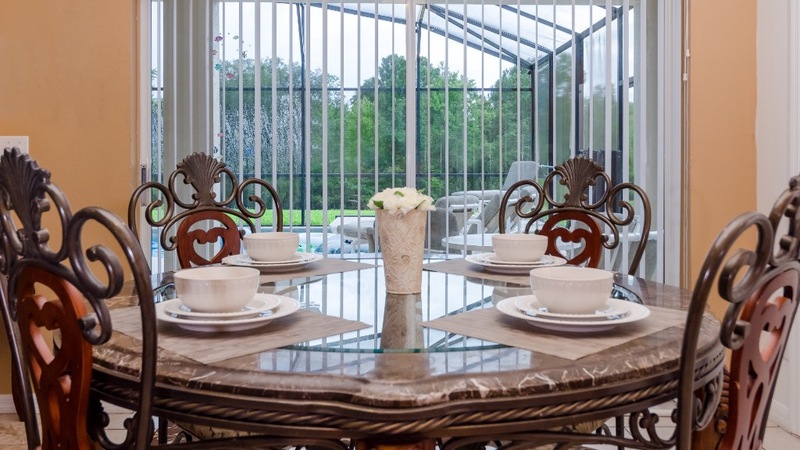 A stay at this villa will guarantee a luxurious home away from home within a beautiful setting with easy access to local Orlando attractions. 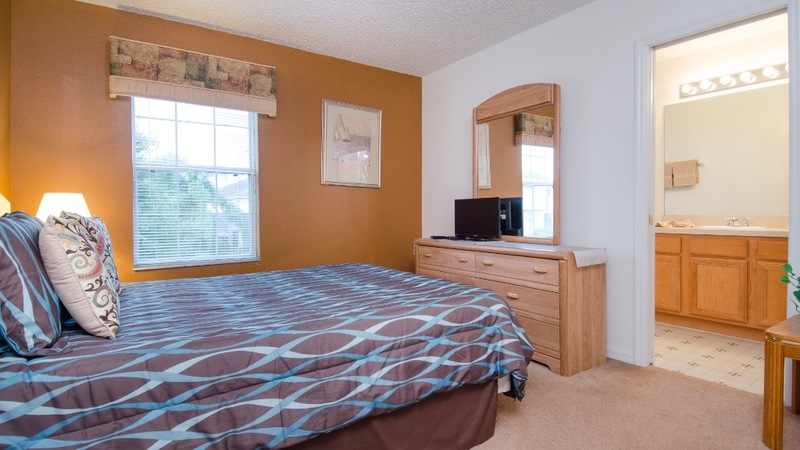 On entering the villa what are noticeable are the executive style furnishings it has all that the family vacationer needs for a truly enjoyable and memorable stay that is close to Disney and all the theme parks. 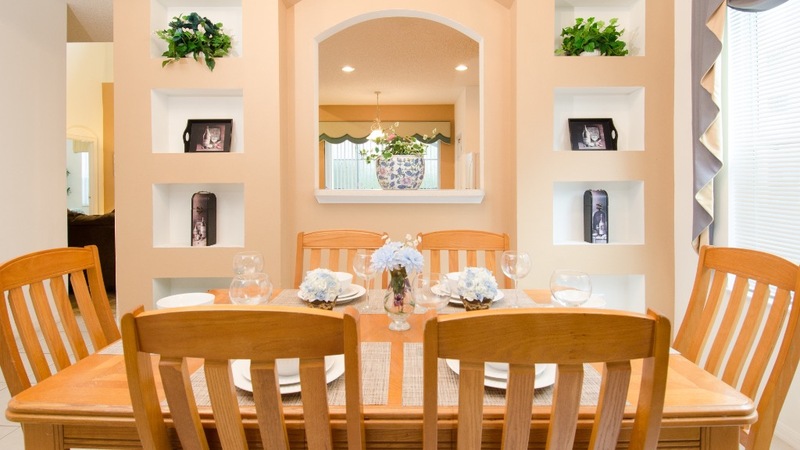 The most popular observation we get from our guests is how beautifully furnished the home is. We worked closely with an interior designer and used high quality furnishings and fabrics throughout the home. The result is not only very attractive, but practical and comfortable too. There is plenty of storage space and the feeling of luxury as well as space can be felt throughout the home with 2 lounge areas front and rear. To secure a booking for Tinkerbells check click on the Instant Quote link on the left hand side for the dates you require. Reservation deposits can be paid online with secure credit/debit card payment using PayPal. Payments can also be paid by via electronic wire transfer directly to our bank see (payment methods) on our rates page. Please feel free to contact us with any questions that you may have at any time and we promise to reply promptly. 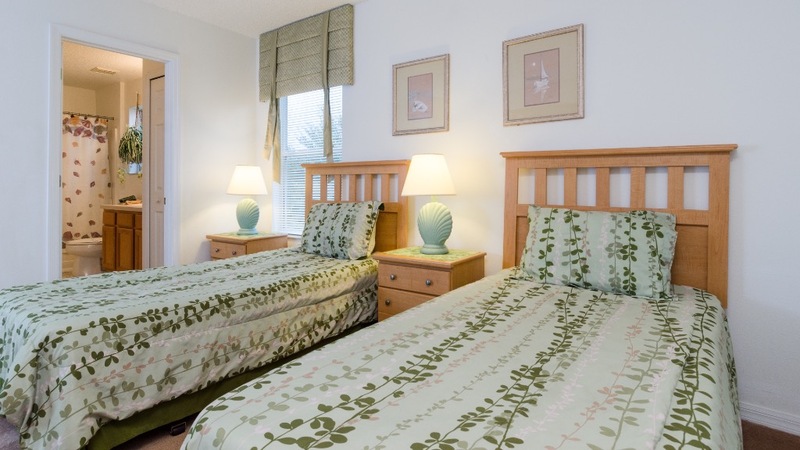 Emerald Isle Resort is one of the most prestigious locations near to Disney. Our villa is Located in the Exclusive Enclave section of Emerald Island, the enclave consists of the largest and more luxurious homes at the resort, Tinkerbells is situated on an extra-large plot for that greater degree of quite & privacy. The gated resort-style community of Emerald Island is an attraction itself and has much to offer for young and old alike, The drive into the resort what is noticeable is the beautiful fountains with palm trees lining either side of the road leading up to the main-gate the area nestled within hundreds of acres of protected woodland and wetland habitat preserve that harbor a rich variety of flora and fauna, It is easy to get carried away with the beauty of the area but the beautiful surroundings are not the only thing the resort has to offer. 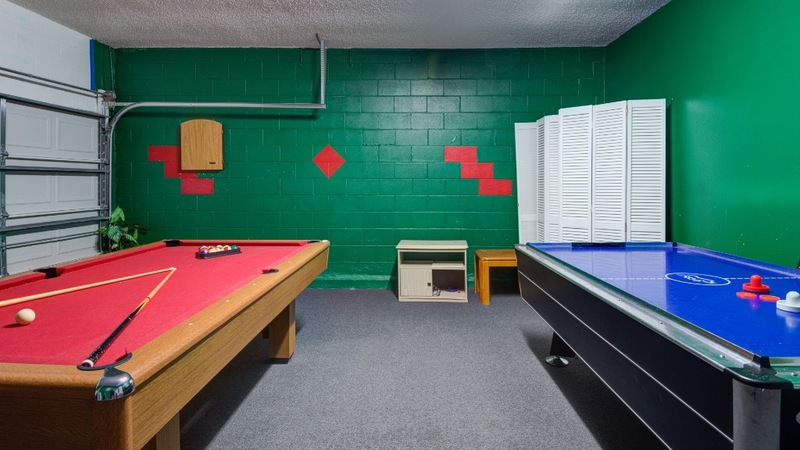 The clubhouse has evening entertainment, a pool, hot tub, sauna, fitness room, cyber Internet room, and a video arcade. There is even a Tiki bar outside on the pool deck, children's playground, a sand volleyball court, tennis center, and a nature trail to enjoy. Emerald Isle is less than 3 miles from the gates of Disney, which makes this the closest resort to Mickey. At the clubhouse there is a coach pick up for Disney. 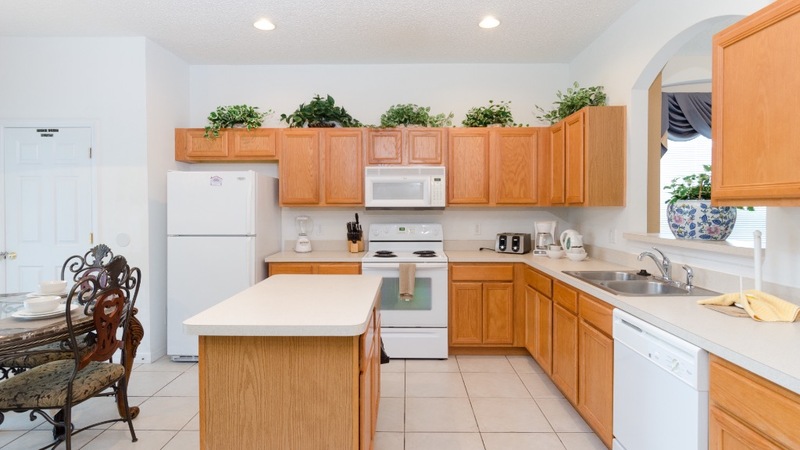 Lots of amenities nearby less than 1 mile to the nearest golf course, less than 1 mile to Formosa Gardens shopping center this is a selection of shops & restaurants a 24 hour supermarket, also some really fine dining Outback Steakhouse, Carrabbas Italian Grill, Cracker barrel, T.G.I. Fridays, Giordano’s and more. 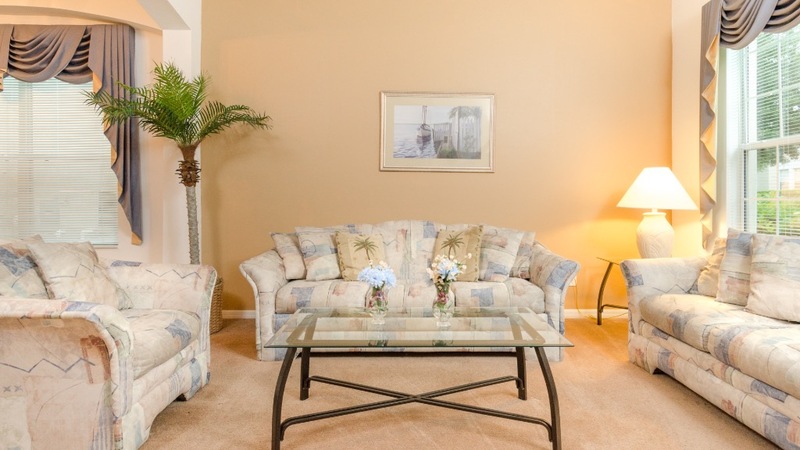 Orlando International airport is just 25 minutes away. 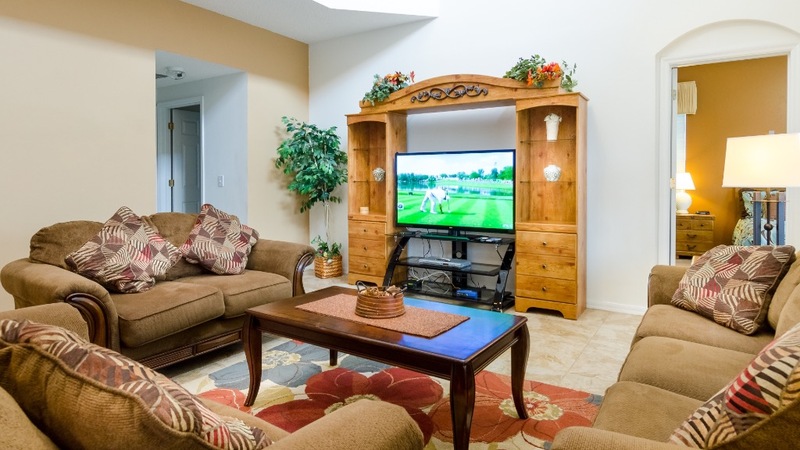 This elegantly furnished front lounge is an ideal retreat away from the rest of the home where guests can relax and enjoy uninterrupted conversation and relax in cool air conditioned comfort away from the TV and activities around the kitchen and pool. It has a three seater settee that can be converted to a double sofa/bed also a love seat or double sofa and a single chair, coffee table and side tables. The front lounge has an open plan layout and shares with the formal dining area with table and chairs seating for 6 people this can be extended to accommodate a further 4 people. To the rear of the property is the 2nd Living area or Main Gathering Room this has very comfortable 3 seat sofa and 2 love seats with matching wooden coffee and side tables. The gathering room is adjacent to the open plan kitchen and breakfast nook and features high quality sumptuous furnishings. 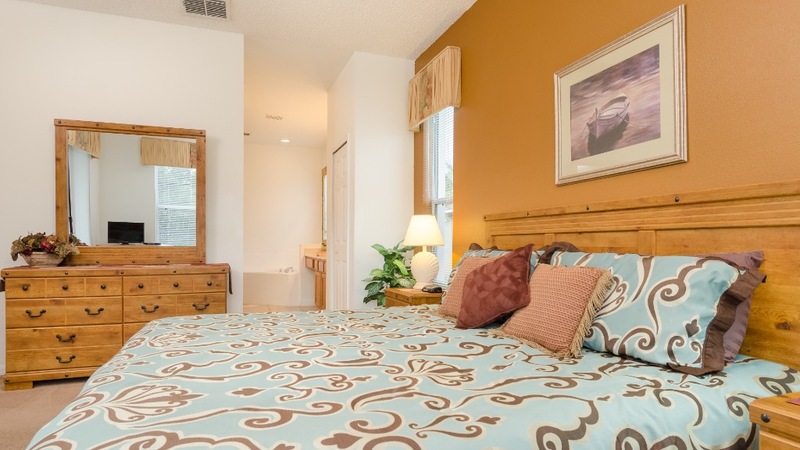 The room is spacious, comfortable and features a spectacular galleried ceiling. The room also is equipped with a beautiful ornate ceiling fan. For your entertainment we have a Large 55 inch Flat Screen L.C.Digital 3D TV great for watching action movies there is a DVD player also High Speed W.I. F.I. that can be easily connected to your laptop, IPad or Smartphone no Password required. It is often nice to relax and enjoy some family fun with a range of board games and PS2 for the kids some DVDs and books in the entertainment centre . The furnishings are kept to very high standard throughout making this a true home from home and we upgrade furnishing every year to keep this home to a very high standard, guest comfort is paramount. For that reason we don’t allow pets or smoking within the home. The fully equipped Kitchen adjoins the gathering room it is bristling with the latest appliances including a smooth top of the range Icemaker Fridge/Freezer with plumbed in cold water supply (icemaker fridge for instant ice cubes), dishwasher, top of the range cooker, large microwave oven, slow cooker, electric can opener, electric Kettle, waste disposal unit, large bagel style toaster, coffee machine, food blender, electric kettle but to name a few. In addition to the appliances you will find lots of pots & pans, cutlery, chef’s kitchen knives, plastic cups for the pool side and crockery to cater for your vacation needs also plenty of storage space. 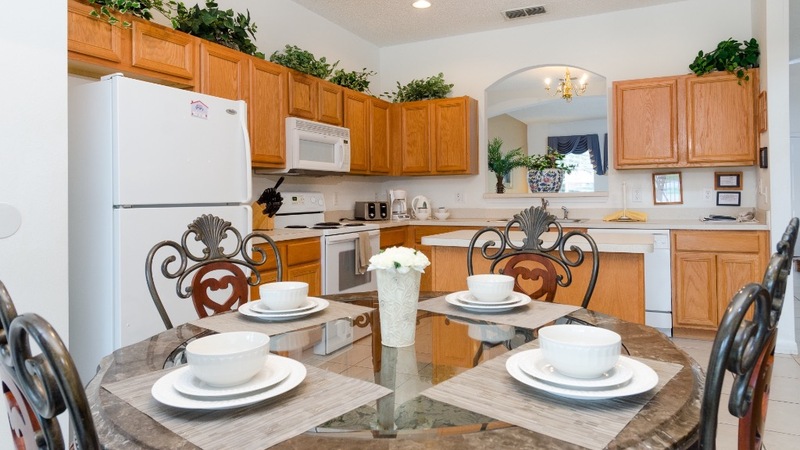 Also in the kitchen is a breakfast table and chairs a central island breakfast bar. 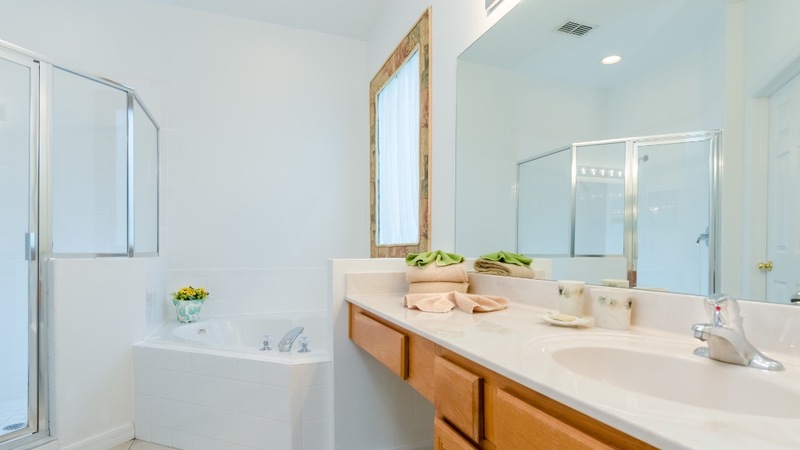 We provide full laundry facilities in the laundry room with large capacity top loading washing and drying machines, ironing board, iron and linen basket. King Master en-suite 1 bedroom is on the ground floor it is beautifully furnished with Oak Style suite surrounded in design splendour. Guests can be assured the ultimate sleep comfort with a quality mattress, hypoallergenic bedding and linens, it has 2 nightstands, 2 large dressers, 1 large mirror, walk in wardrobes a cupboard with lots of luxury towels, this room adjoins a en-suite bathroom with marble sink and top a large double corner bath and walk-in oversize double shower and toilet it is equipped with a hotel style wall hung hairdryer. The bedroom overlooks the pool and conservation area also has access to the pool deck via patio doors it also has a Flat screen TV/DVD combination and FM alarm clock. 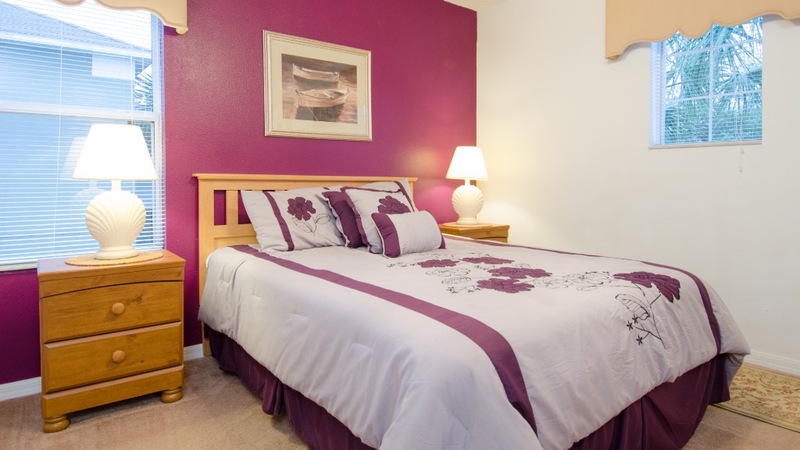 At the front right of the property is what we call our Purple Room this en-suite Queen bedroom is again beautifully furnished with quality linens and luxurious bedding. the room has 2 nightstands 1 large dresser and build in wardrobes also equipped with a flat screen digital combination TV/DVD, the en-suite bathroom has a turret style seating area overlooking the front of the villa also has a hotel style wall hung hairdryer. Set in the centre right of the villa is Mickeys theme style bedroom tastefully decorated great for the children the first of the 3 twin bedded rooms has a night stand and a set of drawers also equipped with a Mickey Mouse TV and DVD also has built-in wardrobes this has an adjoining Jack and Jill style bathroom equipped with single marble sink; combination bath shower. 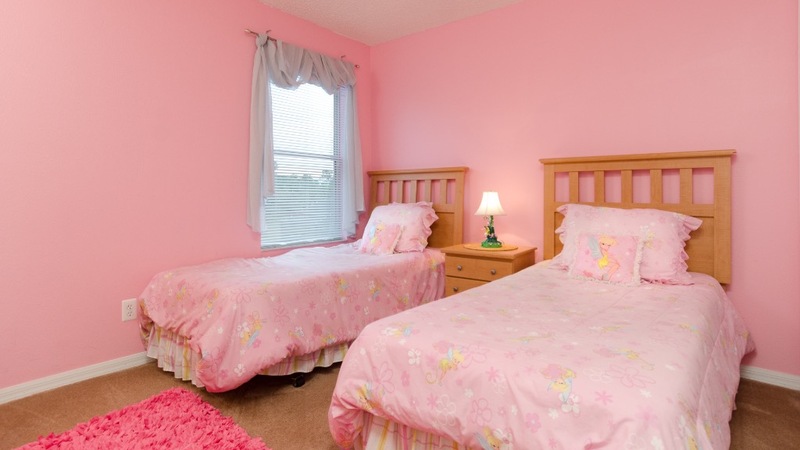 Set in the far right of the villa is Tinkerbells Room a second pink theme style bedroom quality linens and tastefully decorated also great for the children the second of the 3 twin bedded rooms has a night stand and a set of drawers also equipped with a Flat screen digital combination TV/DVD; has built-in wardrobes this has an adjoining Jack and Jill style bathroom equipped with single marble sink; combination bath shower. Set in the centre left of the villa is the third twin bedded room has quality linens and tastefully decorated has 2 night stands and a large set of drawers also equipped with a Flat screen digital combination TV/DVD; has built-in wardrobes this has an adjoining Jack and Jill style bathroom equipped with single marble sink; combination bath shower, the en-suite bathroom also has a hotel style wall hung hairdryer. 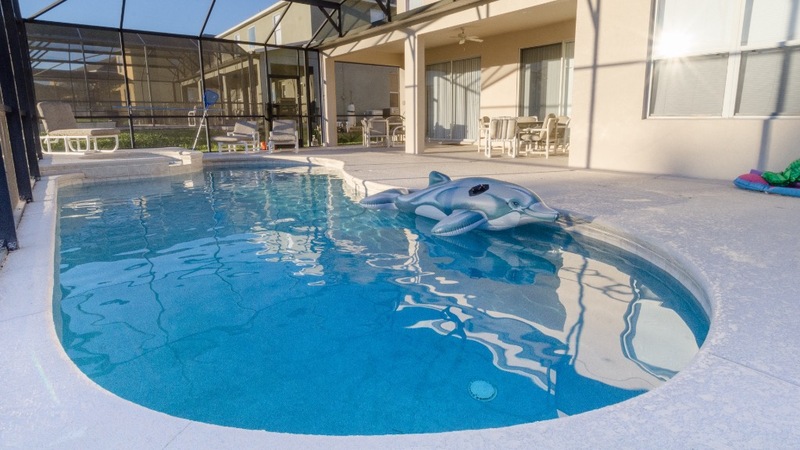 Tinkerbells has one of the Largest Pools on Emerald Isle 32ft x16ft, it is situated in the Enclave, one of the most sought after areas of Emerald Isle, we have one of the largest plots with over-size deck, and this allows unrivalled peace quiet & privacy around the Pool & Deck. 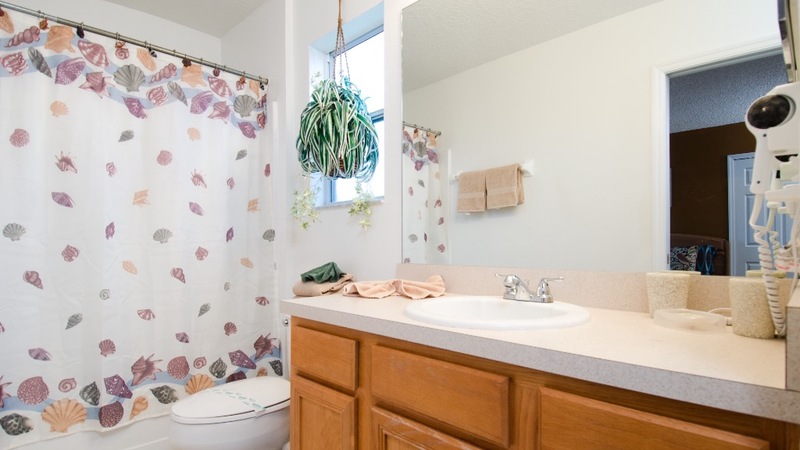 Tinkerbells has beautiful views, overlooking the water & woodland conservation. The Larnea has 2 poolside tables with seating for 6 and 4 great for Al-Fresco dining in the evenings whilst watching the beautiful sunset listening to the sounds of birds flying over the woodland and seeing some of the local wildlife. Also on the deck are 4 fully adjustable sun loungers for those of us that like to top up our tan. 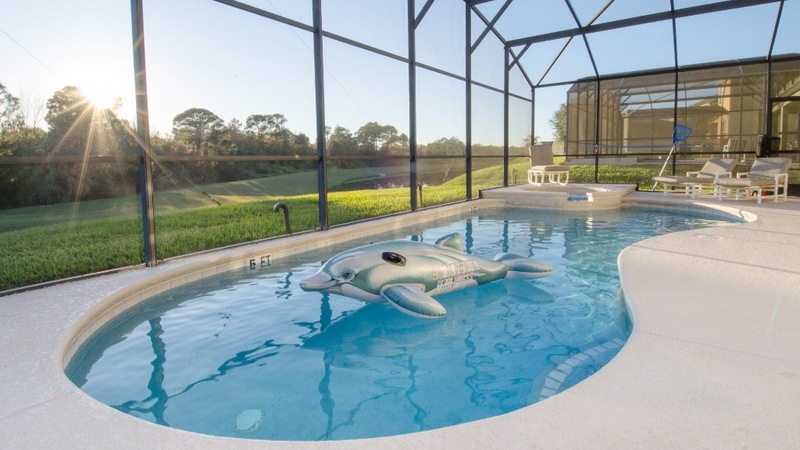 The pool is heated by an electric heater this is an optional extra and recommended Oct through April. 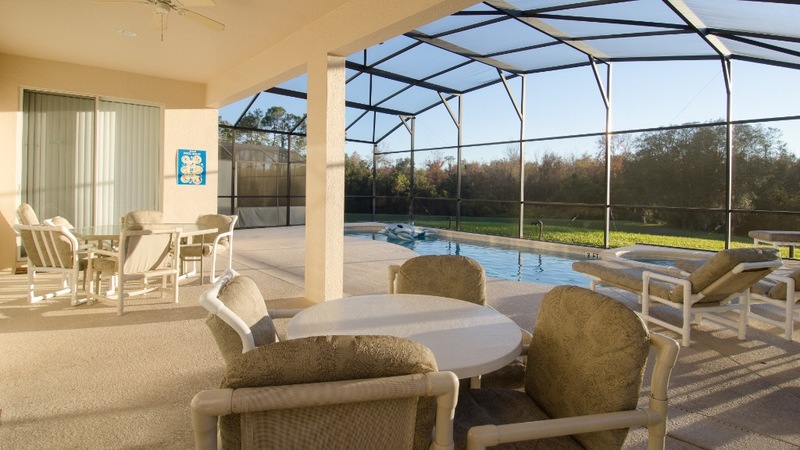 At the side of the pool are child safety fences that can be dismantled at the guests own risk also the patio doors are alarmed. It is the guest’s responsibility and for safety’s sake we ask that the children are accompanied by an adult at all times outside on the pool-side and that plastic tableware be used outside. A Gas barbecue can be hired for a small charge we hire these because we can then ensure that the guest will have a fully working clean BBQ that comes with a full tank of gas. The Games room is equipped with high quality gaming tables including full size Pool Table, Foosball, Air Hockey and Darts. 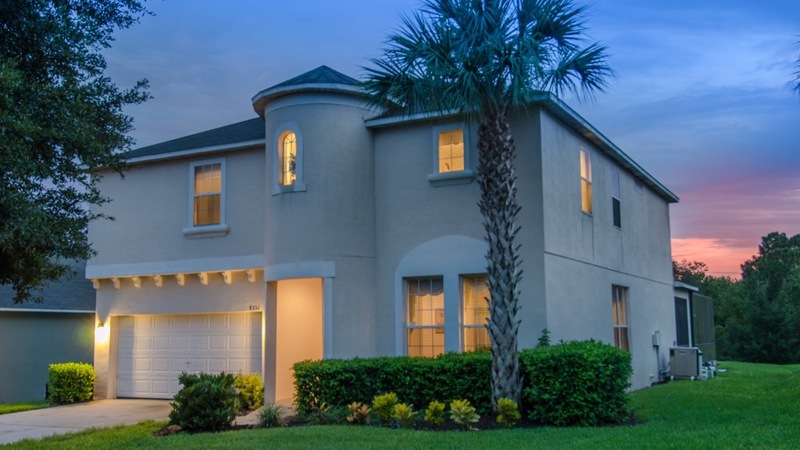 Orlando International Airport Directions, (the villa is easy to find and just 20 minutes’ drive). 3: Exit Route 528 onto the I4 heading West towards Tampa. 4: Follow I4 West past Sea World and Disney. 5: Exit 64 onto Route 192 West. 7: At Crossroads turn right onto Funie Seed Road go along this road for 1⁄4 mile passed Oak Island Harbour and on the left just after bridge you will see the Entrance to Emerald Isle Resort. 8: On arrival at Emerald Isle Security gate they will asked for ID: Passport, Credit Card or Driving License will do. You will need to show this PRINTED BOOKING CONFIRMATION DOCUMENT as proof of booking so please print a copy of this form and give a copy to each of your guests cars so you all have one to hand on arrival. The guard will then give you a 'Guest Registration Form' to be completed and handed in at the Clubhouse here you will be given a Security Access Card this will cost $10 and will be refunded once it is handed back in after your stay, (if you arrive after hours book in the clubhouse the following morning). 9: Proceed through gate and go straight across the Dolphin Roundabout and take your 3rd left and our home 8551 is on your left. 1: Exit the airport and follow the signs for Route 417 South. 2: At Junction 26 join Route 528 (The Beeline Expressway) heading West. 3: Follow the instructions above from step 2 if you get lost call the management numbers below. On arrival at Tinkerbells, access to the villa is by a Keypad Door Entry Lock the access code is ???? So it is easier to remember the code it is the same as the last 4 digits of a telephone numbers you gave us at the time of booking, ensure everyone makes a note of this 4 digit code. ??? ?